You already know that change and challenge are inevitable in life. Do you know how to move into light from there? Goals and resolutions that we make for a new year are important, but they involve change and challenge. That is why it is so valuable to study how to move from change and challenge into light. When accomplishment and a sense of fulfillment outweigh feelings of stress in your daily life, you have started moving into light. 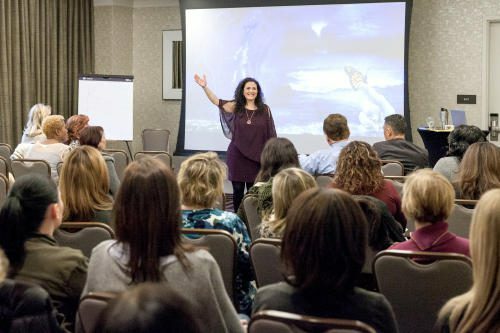 Through discussions, interactive exercises, and movement, explore with Tildet how to let go of your inner blockages and live with more peace and success, and take steps toward Inner Mastery. Informal networking starts at 6pm! The event is led by Tildet, an inner mastery specialist with a history of exciting, mind-opening events and talks. Join us for inspiration, experiential exercises, stimulating ideas, and a welcoming community! 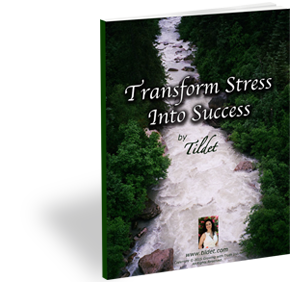 And an exciting note: Tildet has been selected by the American Institute of Stress to be part in developing a stress mastery program, a program that is being rolled out nationwide for individuals and organizations! What most people don’t know is what happened BEFORE I became a sought-after speaker and a specialist on Inner Mastery. I have had my own intense experiences with change and challenge. The two that impacted my life most seriously were a car accident at age 15, where one family member was killed and I was nearly paralyzed, and years later the unexpected dissolving of my 20-year marriage. In both cases I chose to—and had to—navigate in order to find the body and mind healing that I needed so much. This led me into the practice of meditation, and studies of inner mastery with leading teachers across the country. As I became clearer and stronger, I felt called to help others learn to navigate their own changes and challenges and move into a more fulfilled and successful life. I began offering group classes and speaking engagements, and then added individual coaching as well. Since then, I have had the opportunity to work with and help thousands of amazing people, and I stand poised to work with and help many more. It inspires me that you want to find the meaning in the changes and challenges that arise in your life, that you are feeling called to take time to honor your own needs… that you are ready to find the value of change and challenge and live with gusto! It is YOUR time to rise and shine! "Tildet creates an environment that creates heart to heart dialogue. This safe space allowed me to look deeper into myself and feel more confidence in who I am and I can take my next steps forward in all areas of my life."